Originally from Ventura County, Melanie has been a part of the San Diego medical community for the past 10 years. Her 15 years of experience working with children in a medical setting and her passion for helping others and her creative expertise has led her on a new journey in helping to create and lead the administrative department of Center Point Medicine. Melanie volunteered for 7 years at Douglas Penfield School for Special Needs in Ventura, California. She earned her degree in Behavior Science with emphases in Psychology. Melanie served as an in-home Discrete Trial Training and Applied Behavior Analysis Therapist at CalPsych Care where she specialized in working with children with autism, ADHD, and OCD. Melanie, a musician of 23 years, spends her time away from the office playing drums, singing and writing music. In addition to the arts, she enjoys stand-up paddle boarding, reading, and cooking. Melanie's knowledge, dedication, and enthusiasm are the key elements essential to her position at Center Point Medicine. Jhovana grew up in a small city in Kern County and recently moved to San Diego. She attended Santa Barbara Business College in which she earned a degree in Medical Billing and Coding. Growing up she enjoyed putting puzzles together and playing word games, she knew she needed a career that would keep her mind busy. 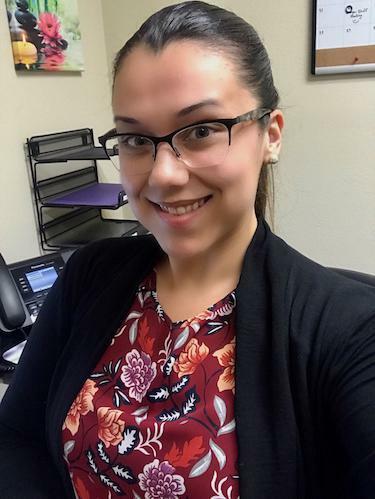 This, as well as a passion to help others got her into medical administration with a focus on medical billing.She is always up for a new challenge. In her spare time she enjoys using her creativity to cook, paint and do some home DIY’s. She loves exploring San Diego, going on food adventures, road trips and visiting new places. Soon she hopes to travel to other countries and learn about different cultures. Sarah graduated from UCLA with an undergraduate degree in Psychobiology, BS. At her time at UCLA, she was involved in clubs that focused on community service. Some of her memorable experiences were going to Tijuana, Mexico every month to provide free medical services and going to the Philippines for a medical mission. She has a diverse experience in healthcare and is very understanding of the importance of patient care. She plans on going back to school to get her MD. On her free time, Sarah likes to go to the beach, hike, and travel. She has traveled to a few countries like Mexico and Japan, and would love to travel more. 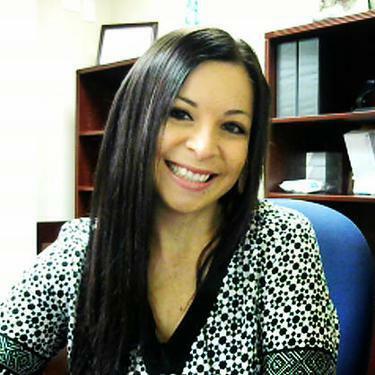 Sarah recently joined Center Point Medicine as a front office administrative assistant. She is very passionate about helping children, adults and their family and is thrilled to be a part of CPM.